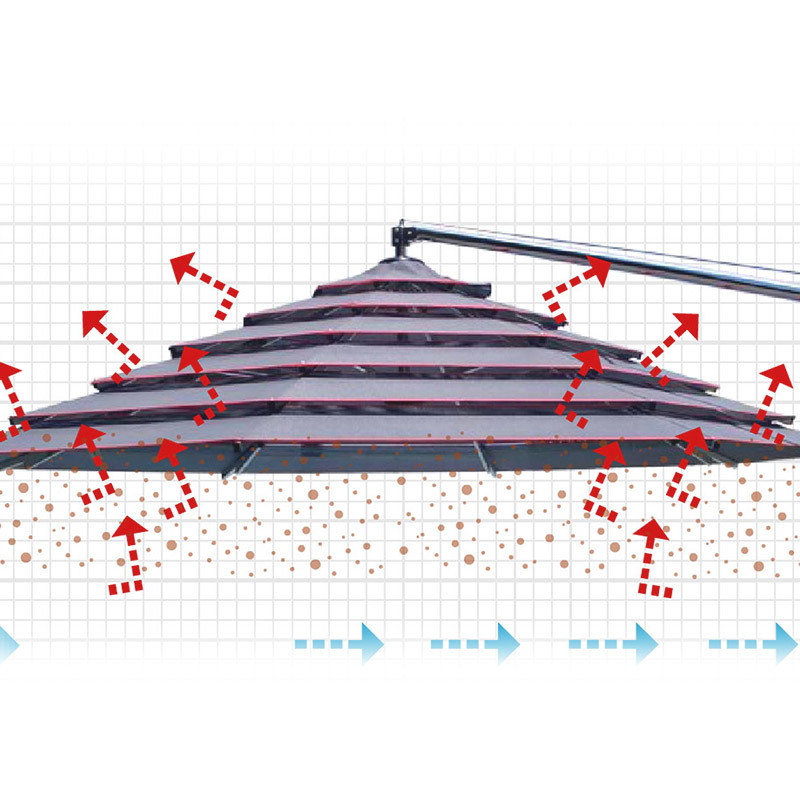 ... GardenArt is proud to offer its very own, exclusively patented Multivalvola® System canopy. 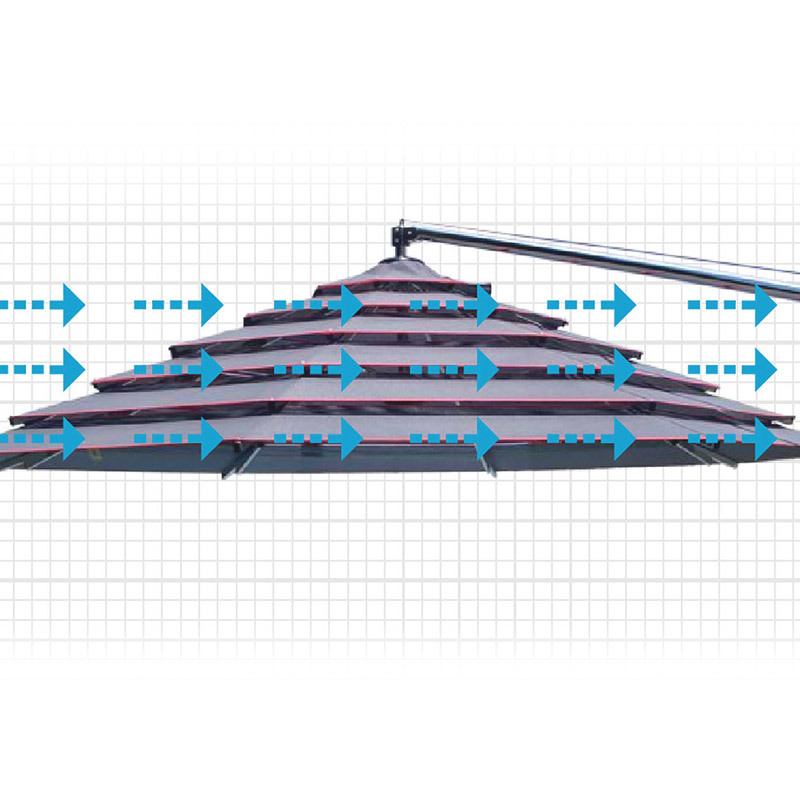 The Multivalvola® System can be applied to any of our models. The special flaps and the innovative canopy fabric with overlapping concentric rings reduce the “sail effect” by allowing air to pass through. Thanks to this innovative solution, not only is the sunshade increasingly stable even in the event of strong winds, but the warm air is channelled out through the canopy’s flaps offering more ventilated shade. The wind can flow through the flaps of the canopy, opposing wind thrust. This provides the sunshade with unmatched stability. The hot air that tends to form under the sunshade is freely released, guaranteeing even cooler and more relaxing shade. The inimitable design of the Classic canopies redefines tradition in the name of elegance. The inimitable design of the Classic canopies redefines tradition in the name of elegance. The tensioned fabric and raised valve, combined with the sturdy structure and high-quality materials, ensures excellent wind resistance. To increase the shaded area a perimeter valance can be applied to the sunshade.